Metallic glasses have high strengths but are inherently brittle. To overcome this shortfall, metallic glass composites can be created by growing soft, crystalline particles in the glass to make it tougher. Processing these composites is difficult by any known method because they oxidize badly in open air and have high viscosity. 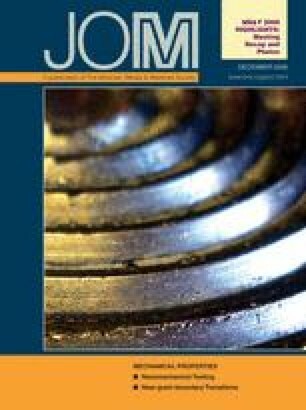 This article describes a one-step casüng process by which complex components can be made, opening the possibility for commercial and military hardware produced from high-strength toughened glassy composites. See Liquidmetal Technologies, 30452 Esperanza, Rancho Santa Margarita, CA 92688, www.liquidmetal.com.